With the Sense toilet brush by Koziol a supposedly ordinary everyday object can unfold new aesthetics: its handle has the shape of a leaf and given its height the drip tray reveals nothing of the function. It belongs to the same name bathroom collection designed by Annette Lang. The determination and clarity of form is reflected in the choice of materials: The Sense toilet brush is made of BPA free plastic, which consists of 100% renewable vegetable raw materials. 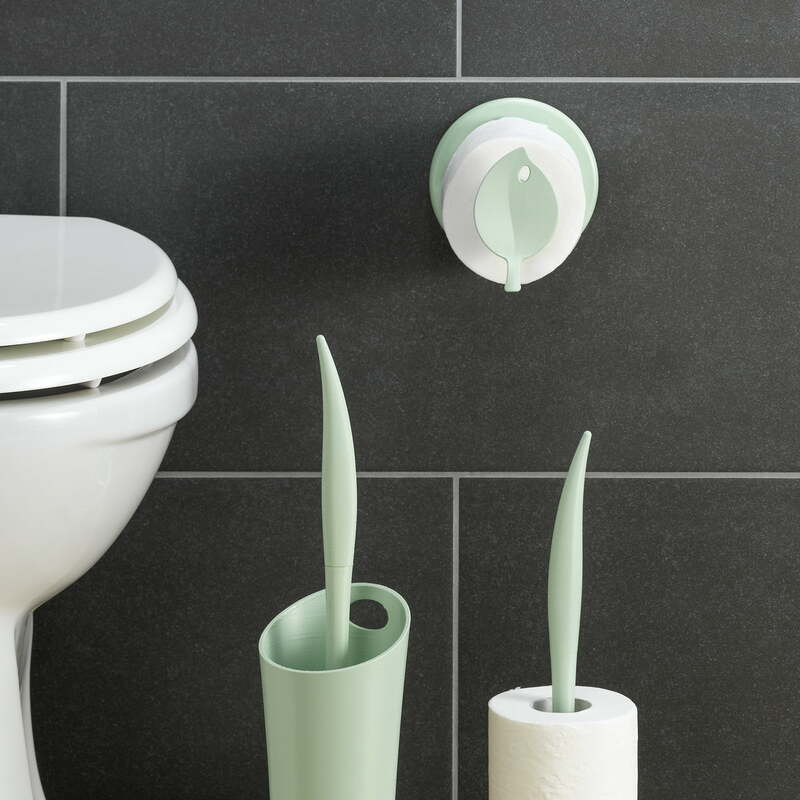 The Sense toilet brush by Koziol is available in various subtle colours. The brush head can be replaced. 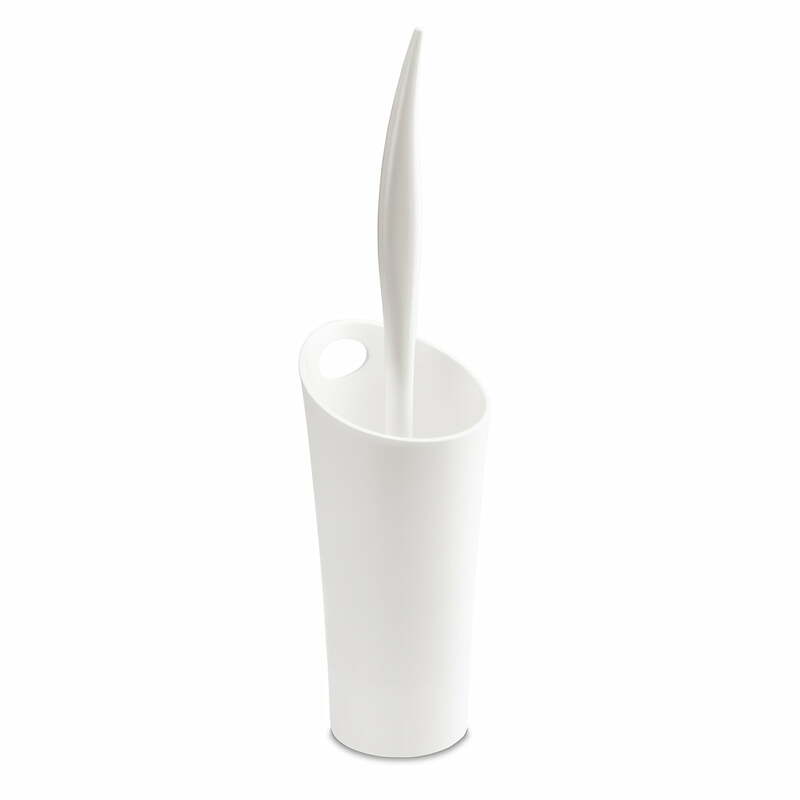 Product image of the Sense toilet brush by Koziol in white. its handle has the shape of a leaf and given its height the drip tray reveals nothing of the function. 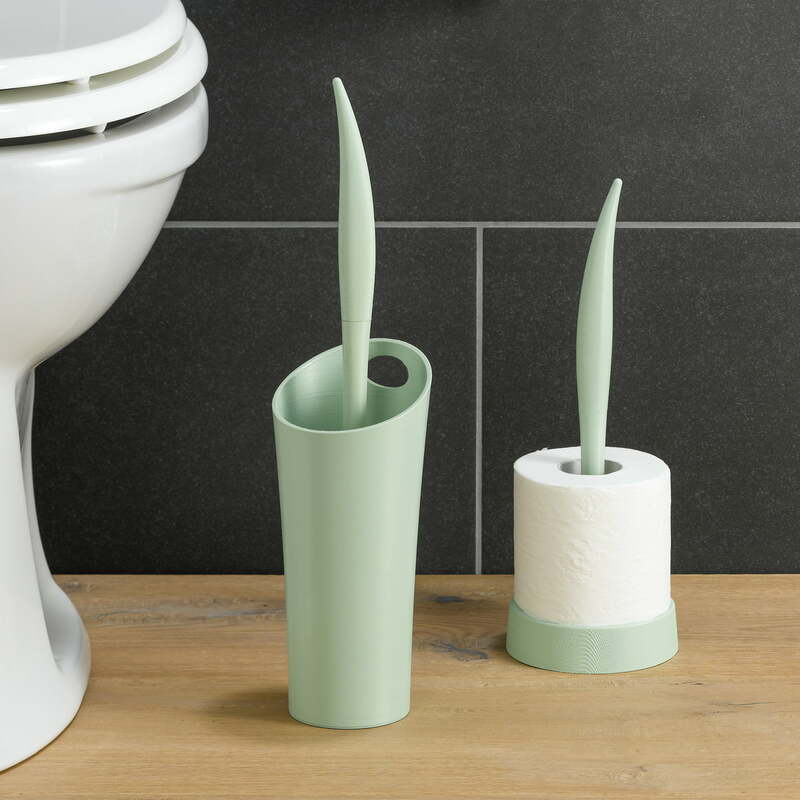 The Sense spare roll holder and a toilet brush in solid mint by the manufacturer Koziol belong to the Sense bathroom collection designed by Annette Lang for Koziol.